His French colleague Henri Cartier-Bresson considered him one of the masters: Hungarian born André Kertész, no doubt, was one of the big photographers of 20th century. 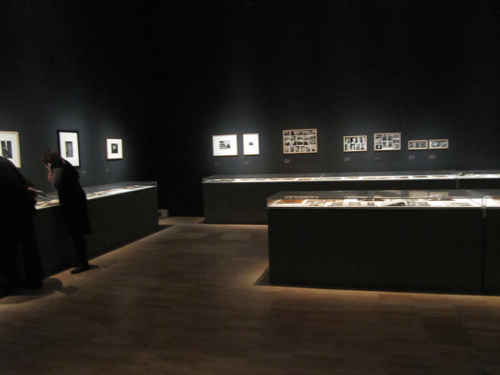 Quite simply, he changed the language of photography. He invented the Photo Essay and some even say Photojournalism, he experimented with light to the point that the French philosopher Roland Barthes spoke of a form of photography “that makes us think”. But he never received the worldwide recognition he deserved. He just was too cutting-edge. 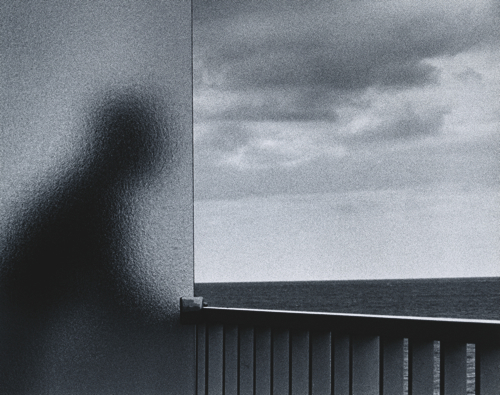 One more reason to go and see the immense retrospective simply called André Kertész at the Jeu de Paume running until February 6th 2011. There has never been a proper one in Europe, although he donated all his negatives to the French State. Kertész, born in Budapest in 1894, arrived in Paris at the age of 31 – and never really left. Not emotionally, at least. In 1936, after eleven years in Paris, he moved to the US. The offer of a contract from the Keystone agency prompted him to quit Europe (and also saved him from persecution, given his Jewish origins). But unfortunately the contract was dissolved after just one year and for Kertész began a long struggle for recognition and money that would last for more than 50. Called up during World War First, he continued to take photographs, capturing for the most part trivial events in the lives of the soldiers. He had already begun to experiment, taking photos at night and seeking his own photographic language. One of the most beautiful examples is the photo of an underwater swimmer taken in 1917. 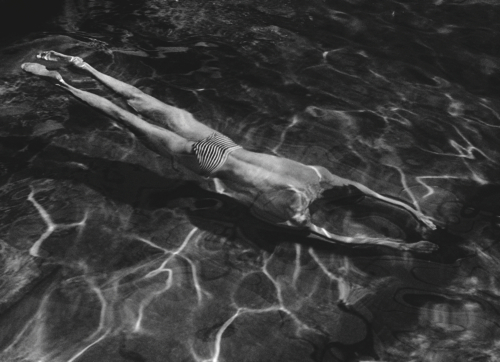 (See abow: Underwater swimmer, Esztergom, 1917, André Kertész ©). During the years in Paris, he experimented a lot, trying to give life to the inanimate, to play with light and shadows and optical illusions. But once in the US, he was met with incomprehension. 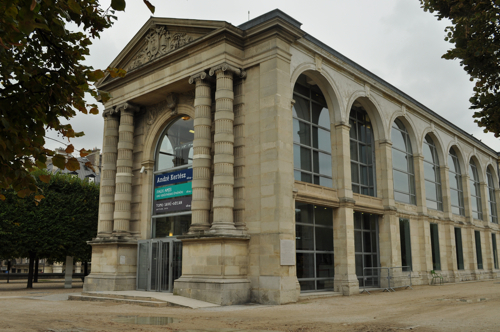 That might be the reason why Kertész kept Paris as his imaginary homeland. His life in New York was steeped in sadness. Nostalgia, isolation and frustration at the lack of professional success drove him into depression. His photos are in a way his visual diary. Photography for him was “very much a tool to express and describe my life, the same way poets or writers describe their life experiences”. 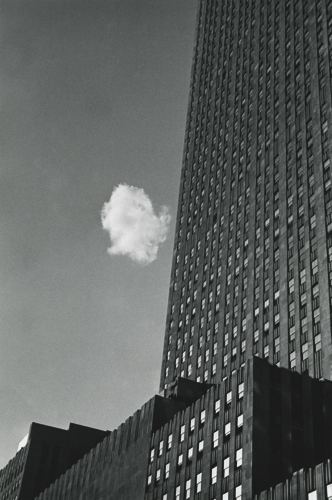 The last Cloud, taken in 1937, showing a lonely cloud bumping against a skyscraper, is a metaphor for his situation: “What I felt when I was taking that photo was solitude… the cloud didn’t know which way to go.” Strangely, melancholy and sadness often go together with the beauty of emotional power. And this is what makes his photos talk to us still. They don’t only look like extraordinary documents in the history of photography. They are much more than that: the beautiful expression of a sad soul.